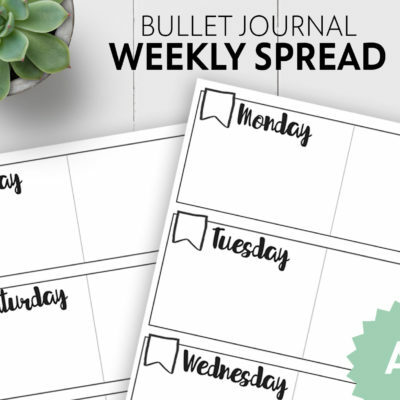 Tired of creating habit trackers for your bullet journal every month? 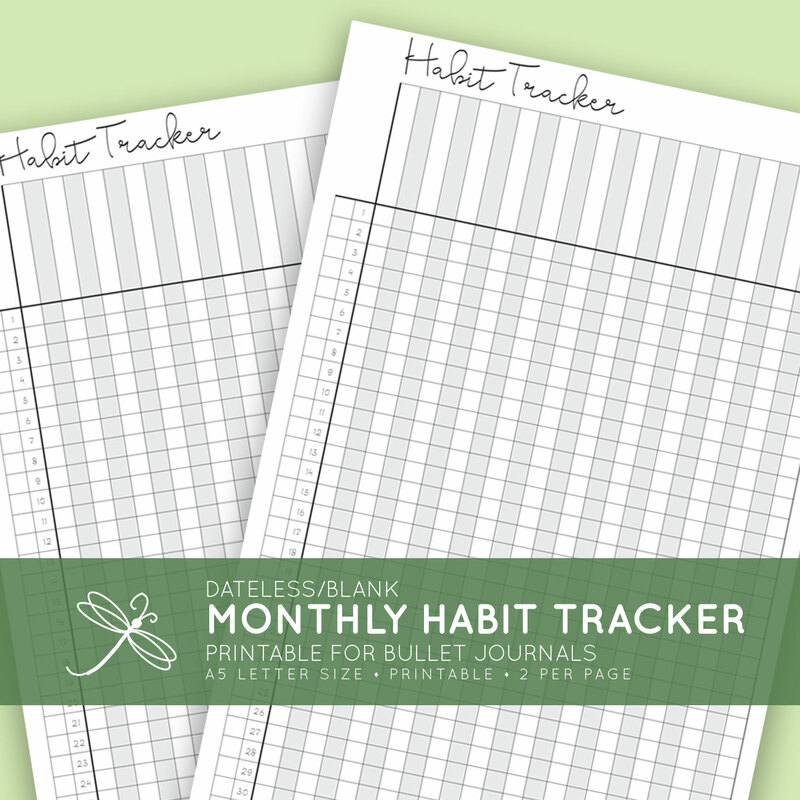 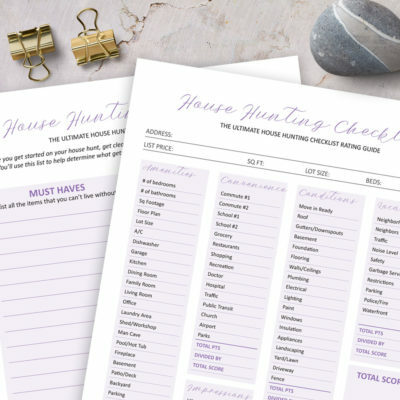 These printable monthly habit tracker pages will make it easy. 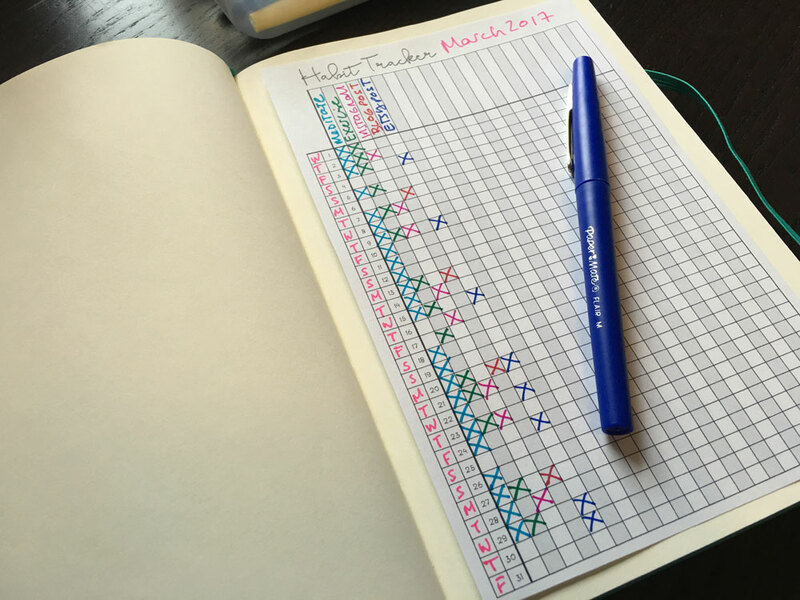 Fits A5, Leuchtturm1917 and Moleskine 5 x 8.5. 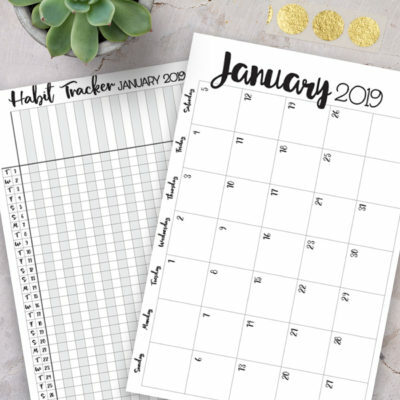 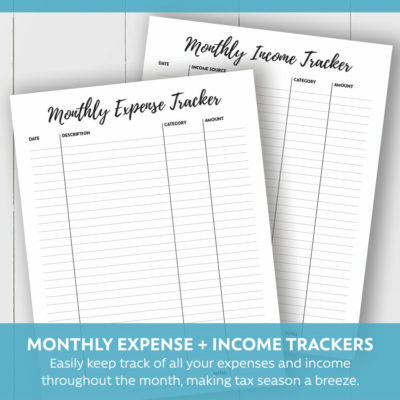 This instant download contains a monthly habit tracker page to help you keep track of your habits throughout the year. 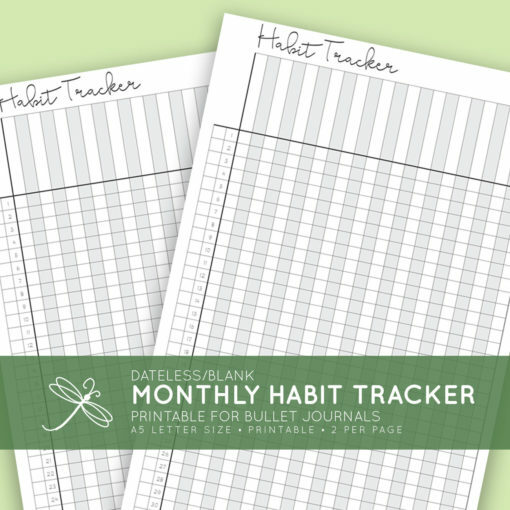 It’s dateless so you can fill in your own dates. 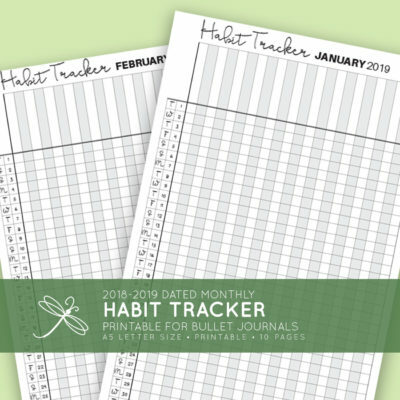 This habit tracker prints two months of habit trackers per page and once cut (using the guides cuts to 5 x 7.5 inches) fits perfectly into a classic large size Moleskine or Leuchttrum1917 journal. 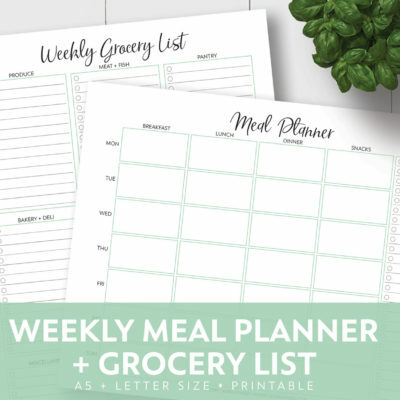 This printable planner comes as a 8.5″ x 11″ PDF, easily printable on paper or on 5.5 x 8.5 shipping labels. 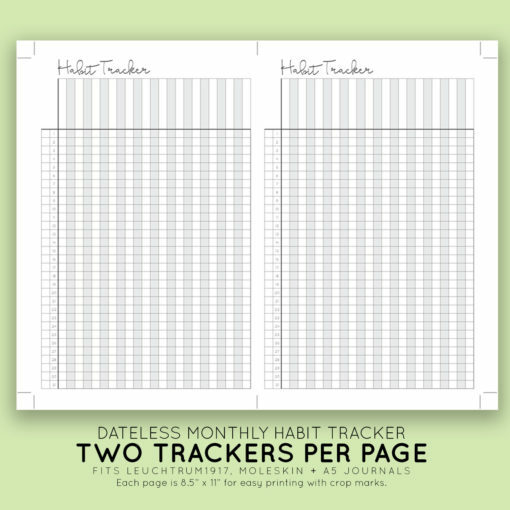 This habit trackers is set up to print on letter size (8.5 x 11 inches) paper and/or shipping labels. 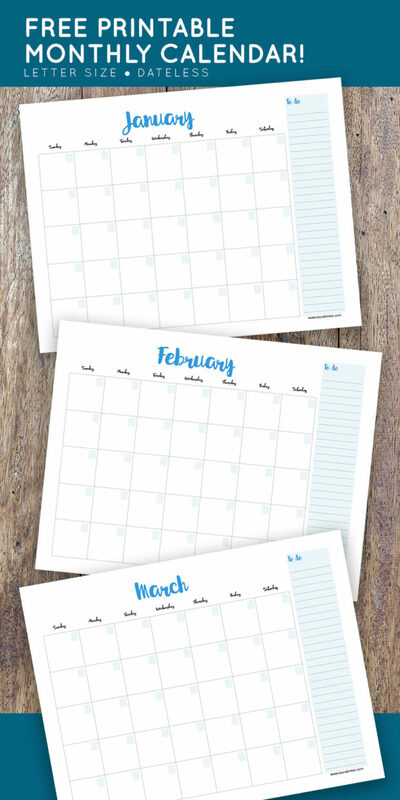 Once printed, cut using the guides for an exact fit. 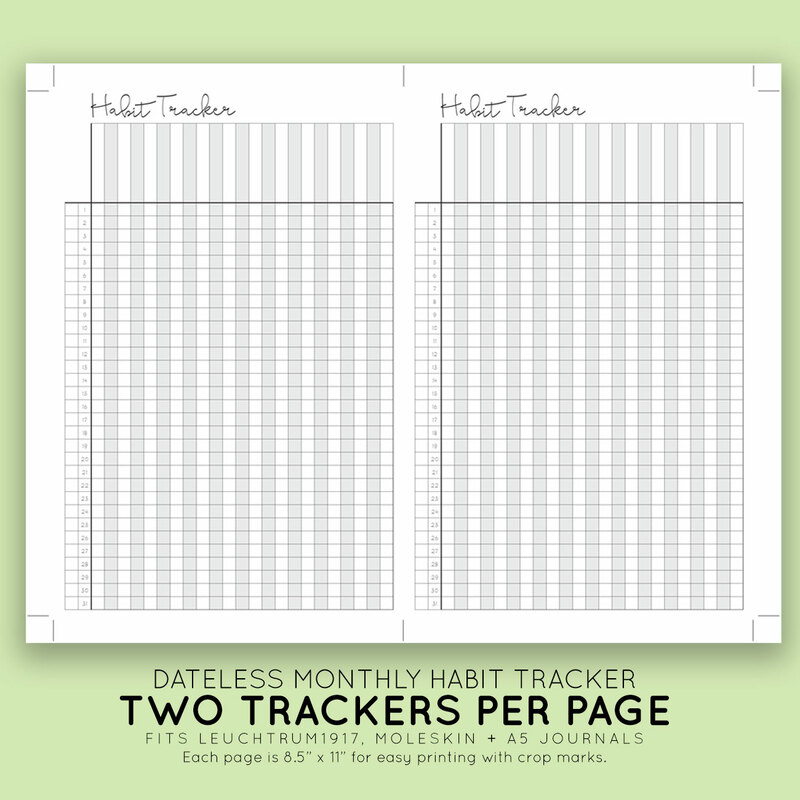 The final page will be smaller than the journal (5 x 7.5 inches) to ensure that your journal continues to lay flat. 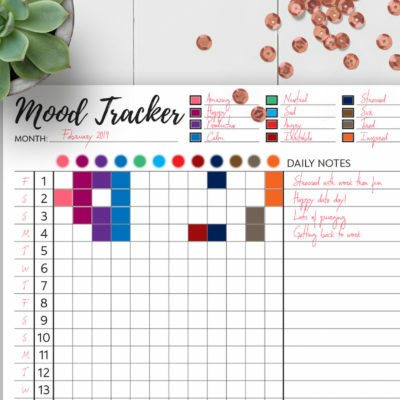 I suggest buying 5.5 x 8.5 inches shipping labels that come on letter size paper for easiest application to your journal. 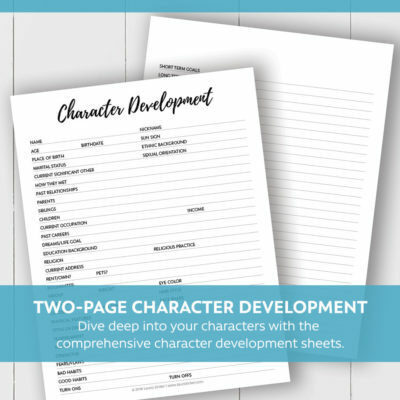 Or use double sided tape if printing on paper.